It was the breeding season after all. 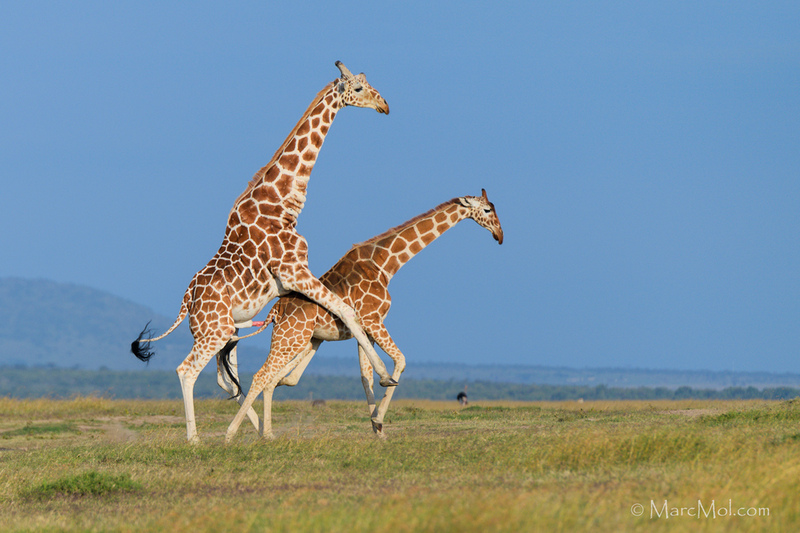 On this morning and all in close proximity, I counted a tower of 72 Giraffe with the males all having but one thing on their mind. At beautiful first light a mother carefully surveys her surroundings mimicked by her newborn one day old calf. 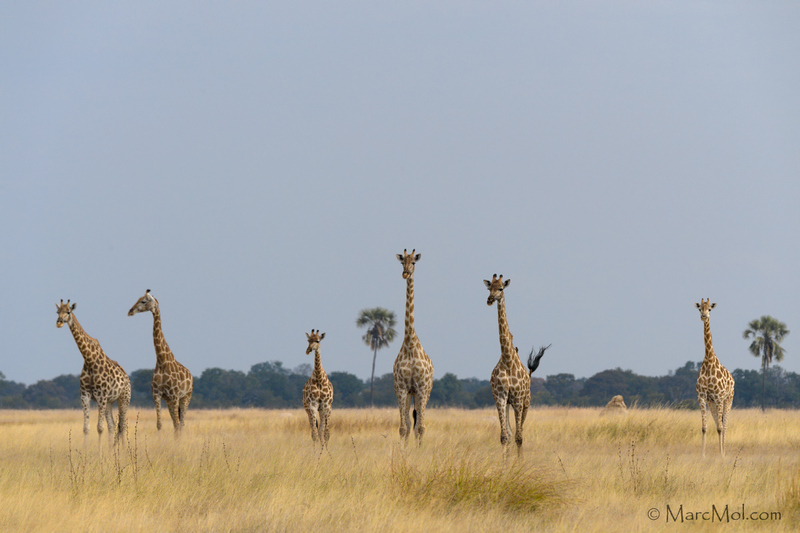 Crouching low to the ground, I counted over 72 Giraffe in the vicinity of this image, of which just a few are shown here, it was mating season and all the males and females had come together to select their partners. What a morning to winess this beautiful spectacle. Check out the size difference!! That's a lotta weight this young female has to support. 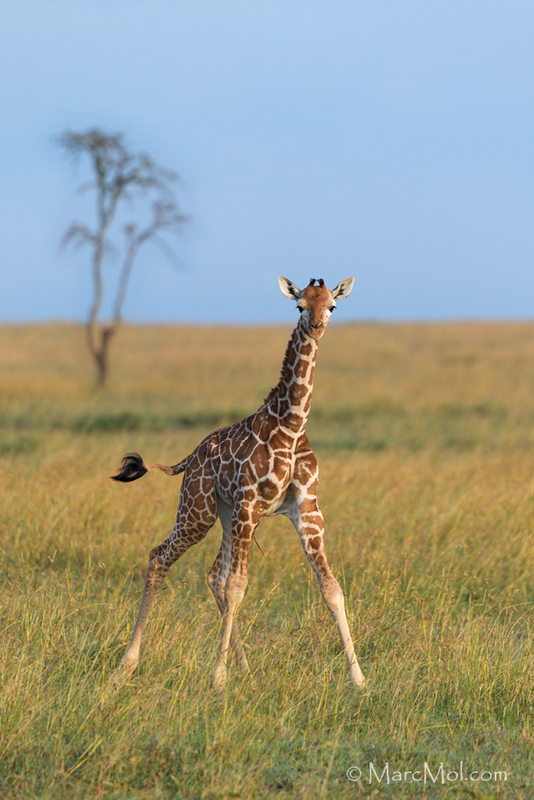 I love the confident look this 1 day old baby giraffe is giving me, legs splayed and a nice tail swoosh! 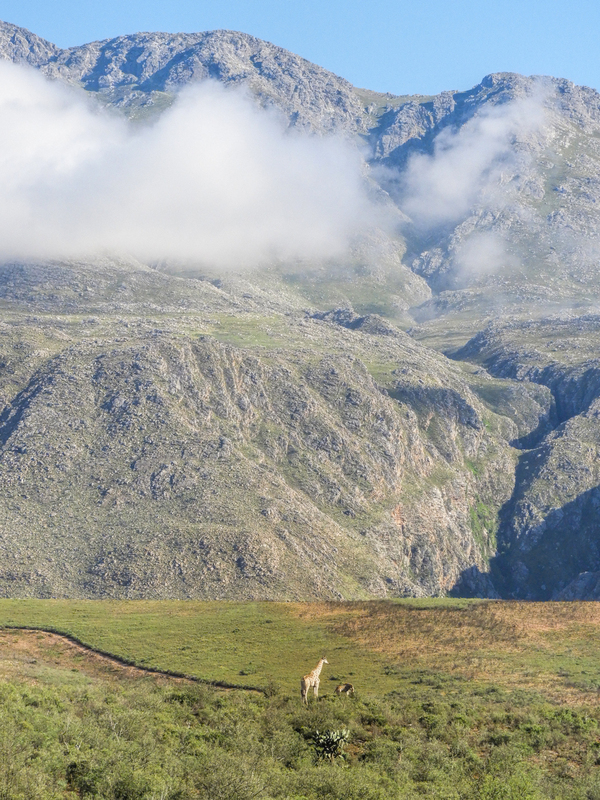 Standing vigilant before a lion pride that had just gorged themselves over a buffalo kill. 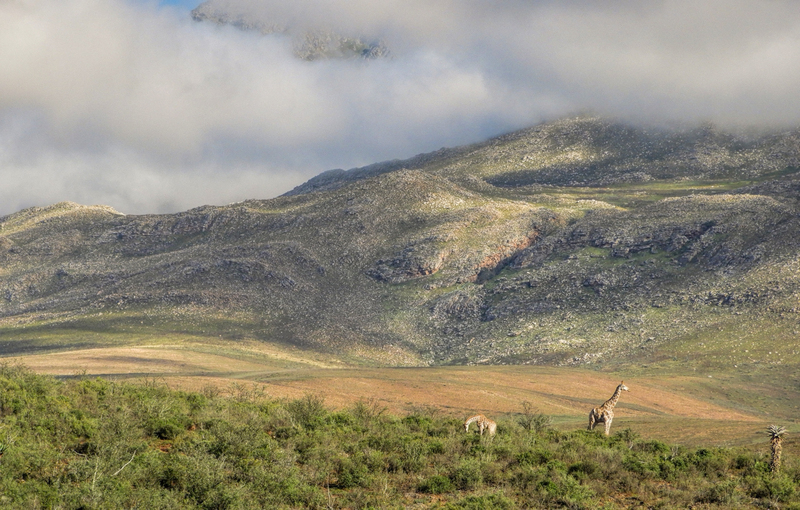 Giraffes in front of the Swartberg mountains, Klein KAroo, South Africa. 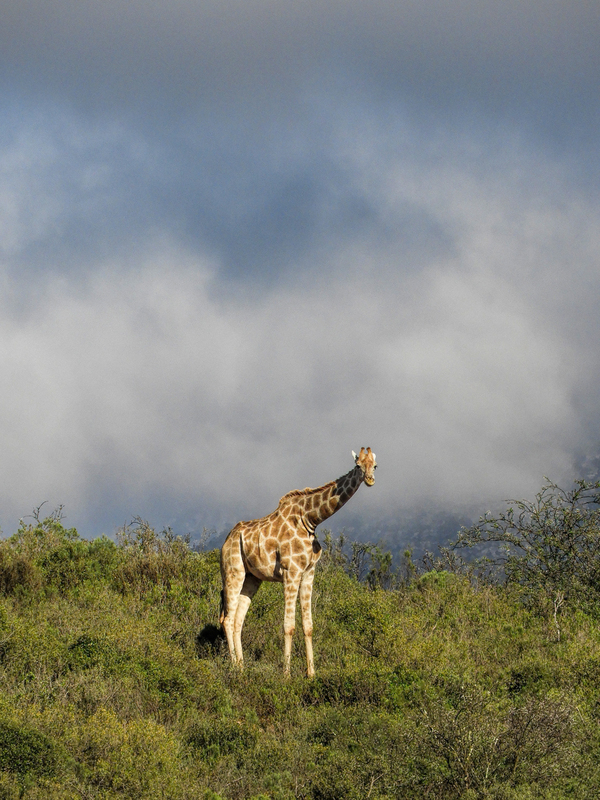 Thank you for providing the camera settings for the giraffe image above. 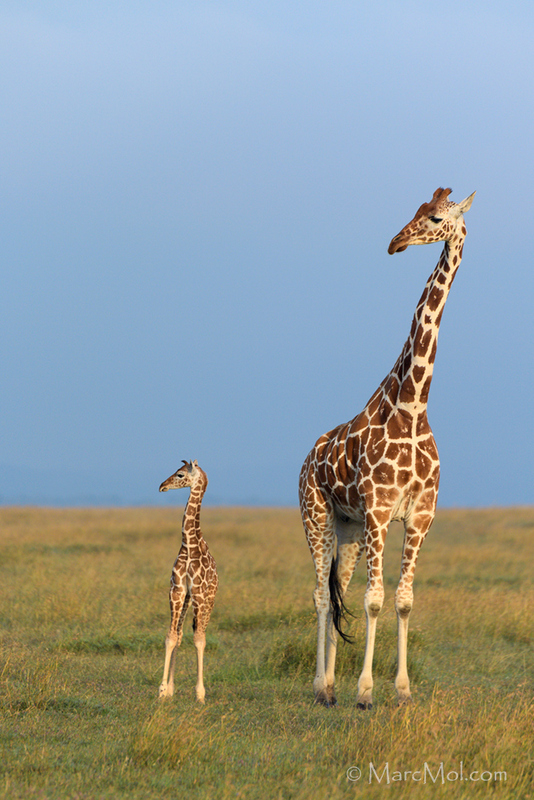 The smaller giraffe on the right has reduced its overall profile more than any giraffe I've ever seen. I like images like yours, which show less commonly observed behavior. 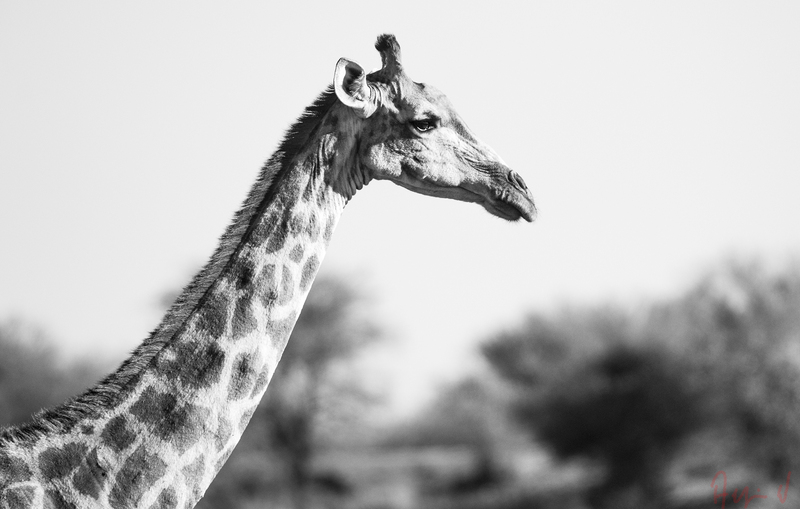 Samburu National Reserve, Kenya on 3 October, 2014 at 10:57 am, ISO 250, f/2.8, 1/2000 sec. 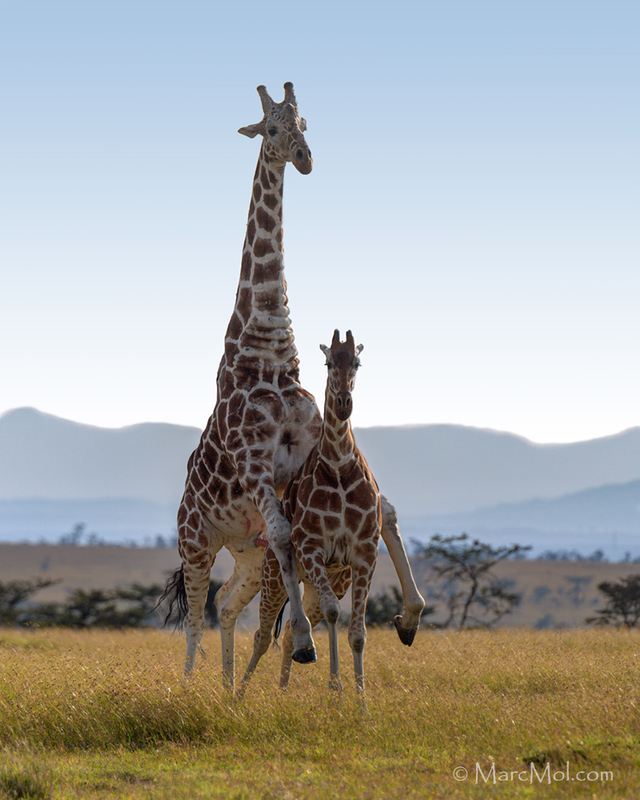 Several Reticulated Giraffe arrived near the Ewaso Nyiro River together. They looked toward the water, but seemed to hesitate. As we observed them, behind us a large group of Helogale parvulu were running about. 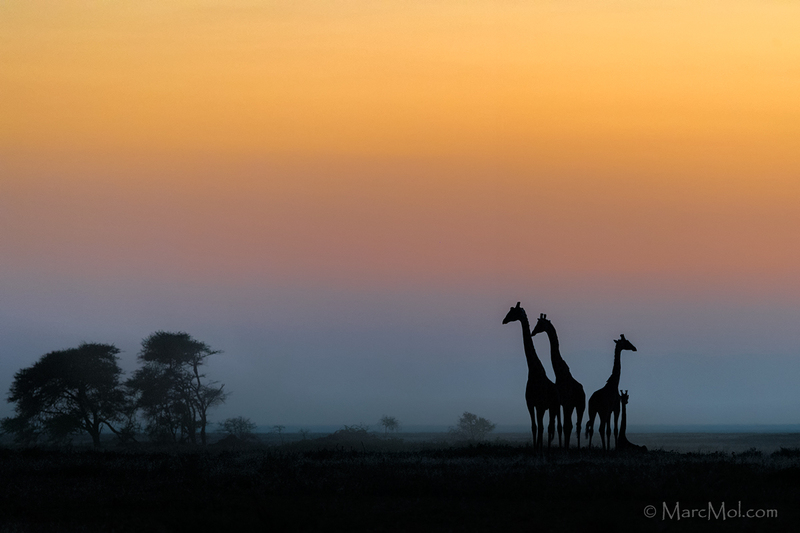 Samburu National Reserve, Kenya on 3 October, 2014 at 10:59 am, ISO 100, f/3.2, 1/2000 sec. For a long, cool drink of water, careful preparation, ample caution, and solid bracing on the wet mud.